Draft: 3'19" Bridge Clearance: 13'6"
Two zone A/C with reverse cycle heat. Salon has a neutral colored leather sofa with accent pillows. Sofa opens to a double bed. Hot and cold transom hand shower. Full upper and lower canvas. 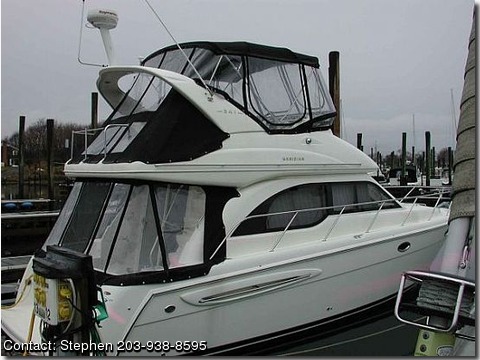 Great for cruising and spacious for live aboard.